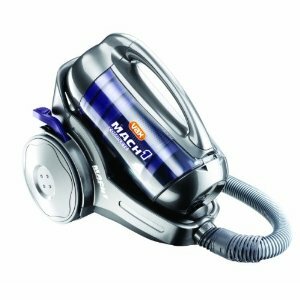 Lightweight Vacuum Cleaners – Better way to store accessories on a vacuum cleaner? I don’t know about you, but if there is one thing that bothers me about my cylinder vacuum cleaner, it’s the accessories that shoot off their ‘secure’ positions when I clean. Perhaps I am quite vigorous with my cleaning and the hose is moved around quickly, but the various tools that I need at my fingertips – the upholstery tools and various brushes – just don’t seem to stay on after a while. Most tools are stored on the hose of a cylinder vacuum cleaner using plastic. They snap into position and should hopefully stay there throughout cleaning, but the main problem is when they smack against objects (usually me) when in use or being stored away. I’ve lost count of the number of times I’ve lost accessories down the stairs or found a dusting brush down the back of the sofa which popped out when I was cleaning the upholstery. Do any of you have the same problem? I’m beginning to think it’s time to ask the manufacturers to re-design this storage of these items. Mind you, upright vacuum cleaners don’t seem to have this problem as accessories are stored out of the way and do not protrude so much. ← Why Bagless Vacuum Cleaners?